So it’s Friday, here’s the wacky and wonderful we found this week. So if you are allergic to eggs but you still really, really want to dye some for Easter, you can buy ceramic easter eggs to dye, called EggNots, for only $15.95 a dozen. Since I was diagnosed with an egg allergy as an adult, it’s something I never considered, but I think I could have just coped with the plastic ones with candy in them instead. So, with outdoor allergy season arising, will your food allergies get worse? Some of mine will. I always wondered why sometimes apples made my mouth itch, and now I know — oral allergy syndrome. The easy cure is just cooking your veg (admittedly, this works less well for fruit). I love sweet potato fries, and I think a fun dipping sauce (coconut-based) would make them a little more fun. How about a different green than the beer you might have had last weekend? Of the 7 Greens, I’m really only familiar with three — but I’m very intrigued by the mizuna. I’ll have to see if I can find that. Here’s another article about how you might not be able to trust the labels, after the FDA closed a bakery that specializes in low-sugar, sugar-free, and gluten-free treats, finding that some of their products contained sugar,allergens, and far more fat than was listed on the labels. Depressing, I know. I can’t have this because of the coconut products in it, but I’ll be trying to see what I can sub out to make it work for me, because who doesn’t need a single serve brownie in a mug that only takes 5 minutes?? Also it’s gluten, egg and dairy free! Also, I’m still craving comfort food although it’s supposed to be spring. (Ha. I wish someone had told that to the 10 inches of snow that arrived here in New Hampshire this week). In any case, I found a gluten free and dairy free chicken and broccoli casserole I’d love to try. And so goes another week. Share with us the cool stuff you guys in food allergy land find this week! We’ve been getting snow here in MA too! Ugh, ready for spring already! That is a fabulous find! 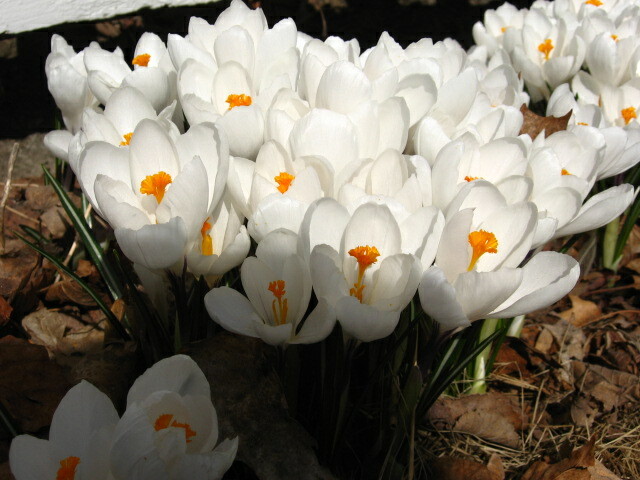 I love crocuses, they really are so pretty and cheerful.